There's a lot of discussion about China's naval programs and the prospect of s Chinese aircraft carrier taking to the seas sometime in the near future. One Asian navy already operates a carrier, has trained carrier qualified pilots and a plan to grow its fleet by adding 50 modern ships to its force with a few years, including more carriers. Its goal is to have three operational carrier battle groups. - Augment airborne maritime surveillance, strike, Anti-Submarine Warfare and air defence capability through induction of shore-based aircraft, integral helos, carrier based aircraft, space based AIS and UAVs, along with suitable weapons and sensors. - Develop ASW (anti-submarine warfare) capability through induction of suitable platforms, weapons and sensors. - Build adequate standoff capability for sea lift and Expeditionary Operations to achieve desired power projection force levels, influence events ashore and undertake Military Operations Other Than War. - Induct assets and develop suitable infrastructure to augment forces available for Low Intensity Maritime OperaINS Vtions (LIMO), protection of off- shore assets and Coastal Security framework. - Induct force multipliers like satellite based global communications, reconnaissance and network enabled platforms to achieve Battle-Space dominance capability and perform network centric operations. - Induct state-of-the-art equipment and specialised platforms for Special Forces to enhance niche capabilities to conduct Maritime Intervention Operations and other envisaged roles. - Develop support infrastructure in island territories to support the planned force levels as well as support infrastructure for ships/submarines/aircrafts at ports and airbases. Naval headquarters says 50 modern ships are currently on order with majority being built in Indian shipyards. . .
Two stealth ships - INS Shivalik and INS Satpura - commissioned recently have been designed and built by public sector Mazgaon Docks Limited. 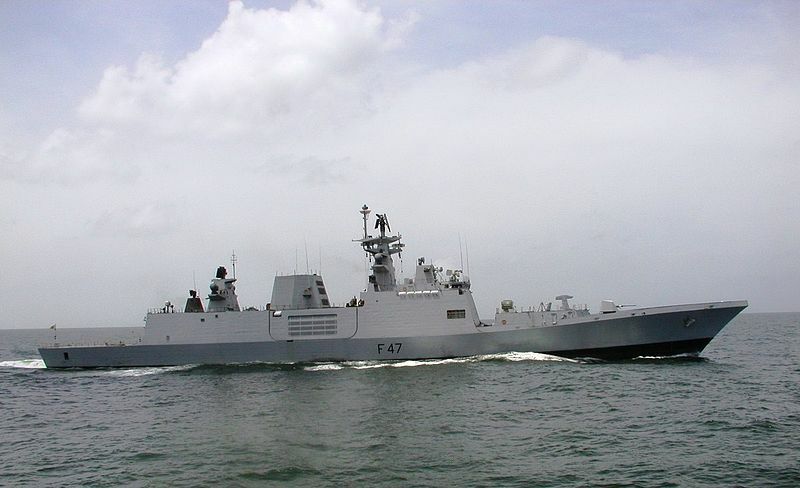 The order books of India's oldest government-owned shipbuilders are full with the Navy wanting four more such guided missile frigates over the next five years. There are more acquisitions in the pipeline. They include: four anti-submarine corvettes, four guided missile destroyers, three stealth frigates, six Scorpene submarines (being built at Mazgaon Docks with French technology and help) and two nuclear-powered submarines. India's conventional diesel-powered submarine fleet is down to single digits right now but with the Russian-built Nerpa class nuclear submarine (leased for a decade) joining service earlier this year, the submarine arm has got a major boost. 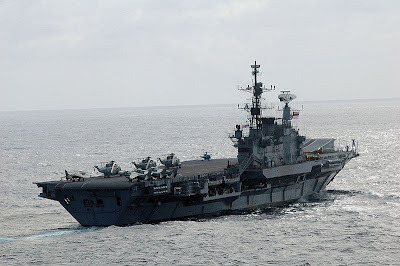 But the biggest force accretion in recent years has come in the form of Boeing Pi-8long range maritime reconnaissance (LRMR) plane that gives the Indian Navy a reach and capability to mount surveillance way beyond its traditional areas of influence. According to its near-term plans, the Indian Navy has ambitions to become a three Battle Carrier Groups force by 2020. 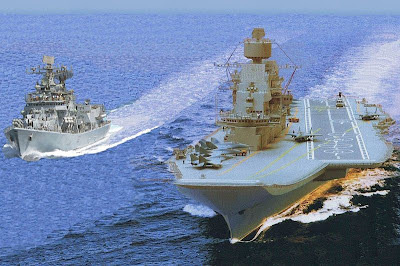 While it's most prestigious acquisition-Russian Aircraft Carrier Admiral Gorshkov, to be renamed INS Vikramaditya - is likely to be inducted into the fleet latest by March 2013, one more carrier being built indigenously will most likely join the service by 2015.